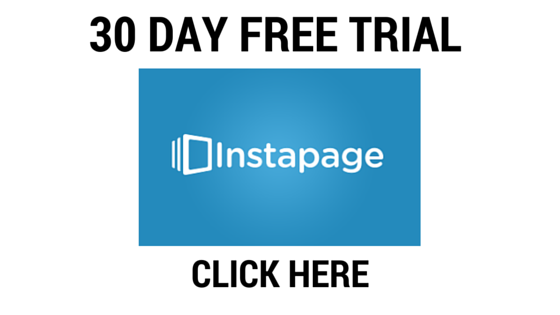 2 Join 250,000+ other businesses who rely on Instapage. 4 Instapage Review-What Are Instapage landing pages? 7 Join 250,000+ other businesses who rely on Instapage. 11 Join 250,000+ other businesses who rely on Instapage. Join 250,000+ other businesses who rely on Instapage. 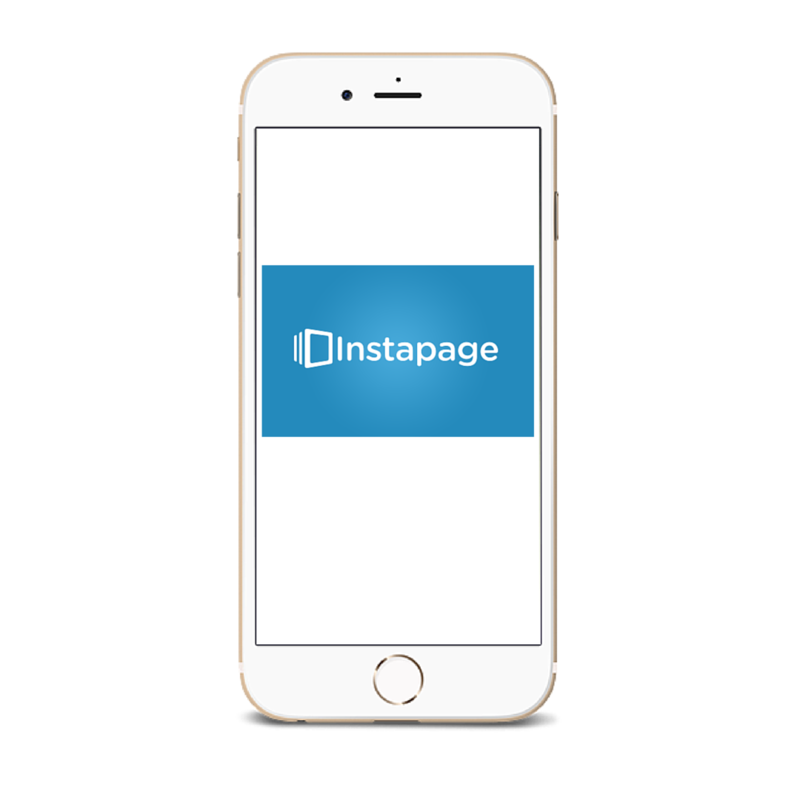 This Instapage Review has been created to explain how this platform can help create leads for your website. The more leads you generate, the more sales you will gain, therefore by using a landing page. you can generate more income from your website. 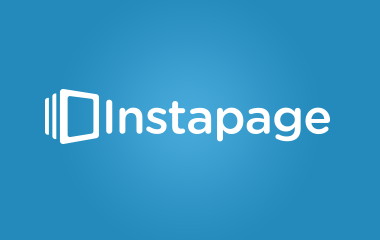 So if you didn’t know already, Instapage is a platform used to create landing pages for your website. There Tag Line is “Every Promotion Needs A Page”. This is true and the reason this review has been created is due to major success from conversions. As a result of using instapage. Instapage Review-What Are Instapage landing pages? 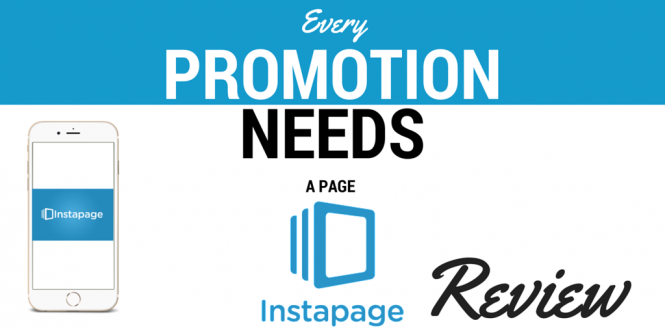 So if you are just starting out, you are probably thinking, what are Instapage landing pages? a landing page is an individual page which has been designed specifically to land on as a result of clicking an advertisement or to register for a webinar etc. This is for people to click through, to sign up as a subscriber or to click through to the product or service the website owner is promoting. Here is a link to a landing page which is currently used on Instagram by Howtoearnextramoneyathome.com to promote a product I represent through my website. This has resulted is numerous sign-ups and commissions being paid as a result of using instapage’s landing page. Below is a prime example of a click through page, very basic simple and straight to the point. Doesn’t include any sign-up forms just a call to action button to click through. This is what I currently use for my own landing page, its simple straightforward and doesn’t demand too much effort from the user end. The whole point of a click-through page is to get your customer ready for what is next and informing them what they need to know for the page they are going to be clicking through to. 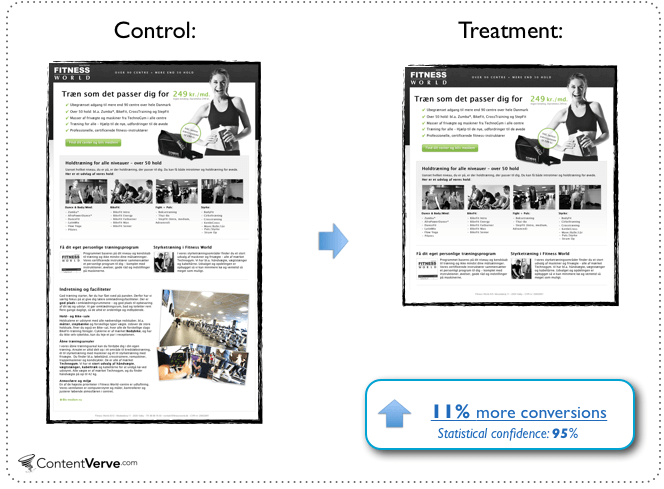 A Lead Capture page is generally short sweet and simple. It is designed to capture the attention of the viewer and to sign them up. Capturing their Name, Email Address, Etc. It’s important to note there are no exit leads or navigation pages for the click through pages. The sole aim is to capture the prospects details. consequently resulting in a lead and sale. A squeeze page is designed to just capture an email address from your potential prospect and then go further to the website. 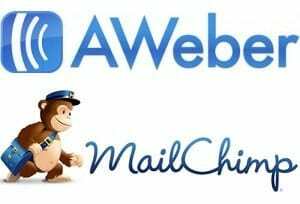 Therefore, it’s simple to read through and should be designed to make the prospect give up their email and consequently investigate the website further. A sales page is exactly that a sales page. A separate page which is being used to sell a product or service, these can be both long or short depending on the complexity of the product for sale. Statistically, shorter sales pages are more effective. However, it should be noted that depending on the size of investment required. Longer sales pages should be used for big sales and shorter for smaller. A splash page is used as the first page the customer sees before entering your website. This can be used to get the customer to subscribe or alternatively just to provide them with more information regarding your products or services. It can also be used to help the customer navigate around your website and where they need to go. A Pitch Page is used to highlight a product you are promoting, this is mainly focused on the product being the spotlight and main centre of attention. It will also include a brief description. Highlighting all of the main points for the product you are promoting. These are all the different types of pages you can create using Instapage, which really does set your product apart from any other website . 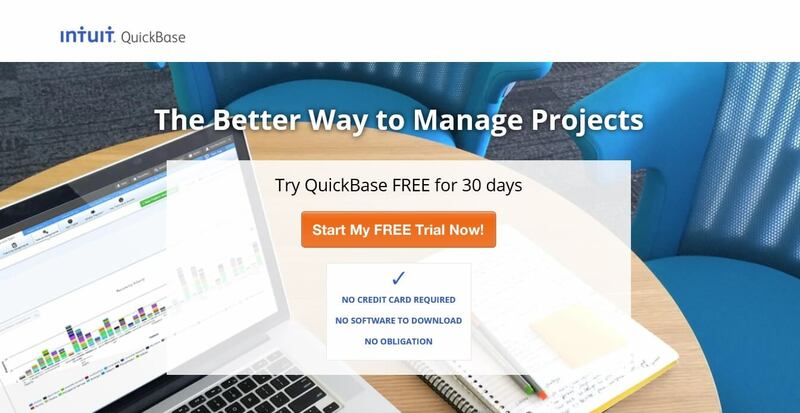 I think with the way I currently use Instapage if I was to direct the customers straight to my website without going to my landing page. I don’t think I would have received half of the conversion I have to date, hence why i higly recommend it. 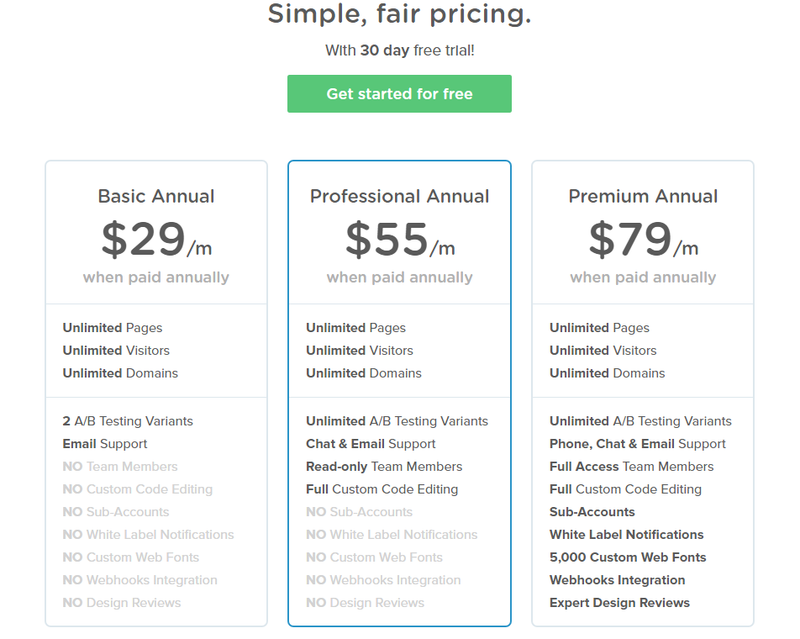 They have 3 Levels for pricing Basic, Professional and Premium. This includes a 30 Day Free Trial. However please note that these prices are only applicable when membership is paid annually. Alternatively, you can pay monthly however this costs 25% more, therefore, you are better off paying the annual fee. Personally, I found this a bit much to pay in one go, especially for something I hadn’t used just yet. Therefore, I took advantage of the 30-day free trial offer. There are a few other features which make Instapage quite awesome. Especially when using it for sales or to assign subscribers to your website. You can use instapage with WordPress. How it works is you download a plugin for your WordPress for instapage. Then within the plugin, you can assign the landing page with its new URL. Then whenever you update your page on the Instapage website, this automatically updates in WordPress and your custom URL. Instapage can be displayed on facebook. Which is a handy way to promote your website with an eye-catching landing page. You can view analytical data from your landing page. Which is very helpful to analyse how many times your landing page has been clicked on. This also shows you how many people have gone through to your main website page. Mobile integration is key when you are creating a website in today’s society, I would say that the majority of views you will receive on your website will be via mobile. Therefore, it is absolutely essential that your website and landing page look awesome on a mobile interface. Also, this is where most leads are generated on platforms such as Instagram, where you put your link in bio to your landing page. There is so much more that could be written in this Instapage review, such the A/B testing feature and page builders etc. But really and truly you won’t actually know hoe good it is until you have actually tried it yourself as a landing page for your own website. Just the visual appeal will make you feel good about your website, let alone the number of visitors. I think the price is a little high and it should be the same price to pay monthly as it is annual. However, the results speak for themselves and you can’t really put a price on actually getting conversions on your website. My recommendation would be to try it for 30 days FREE and if it works for you then upgrade. Thank you for reading the Instapage review. 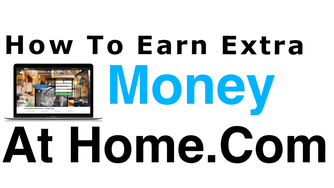 If you’re looking for a way to earn extra money at home, please take a look at my number #1 recommendation.